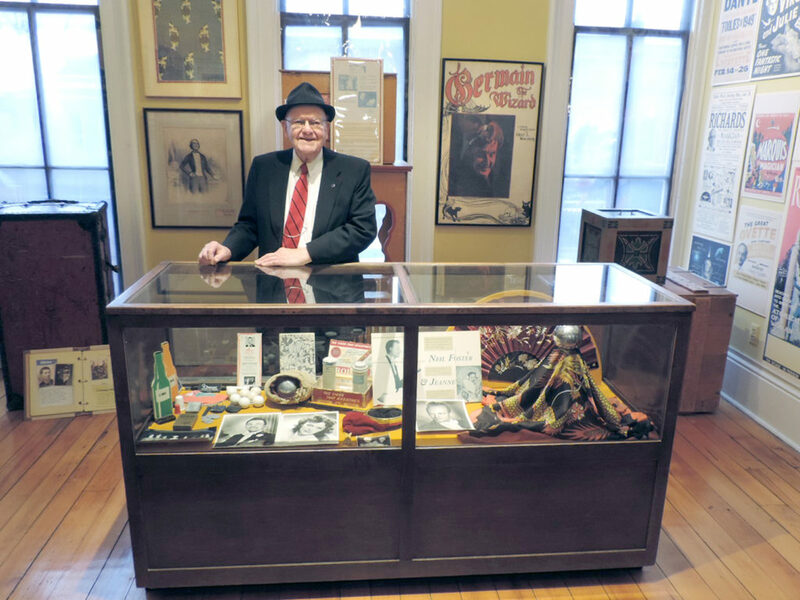 Howard Niles Herbkersman, 91, of Columbiana recently donated his tool kit of magic to the American Museum of Magic in Marshall, Mich. Herbkersman was one of few military veterans to use the G.I. Bill to fund attending a school for magic instead of a state college or university after he got out of the service. COLUMBIANA — When Howard Niland Herbkersman completed his service with the U.S. Army in 1947 he decided to put his G.I. Bill toward something a bit more unusual — learning magic. Herbkersman was drafted in 1945, just after graduating from Columbiana High School. He spent two years in occupied Germany. “I saw Germany bombed out completely. Cities were just in ruin,” he recalls. When he returned to the states, instead of pursuing a degree through a state university or college using money through the G.I. Bill of Rights, he chose to enroll in the Chavez College of Manual Dexterity and Prestidigation in Los Angeles. Chavez was the first and only school of magic authorized to enroll students under the G.I. Bill. Herbkersman — who was then 20 years old and still single — spent five hours a day for nine months learning card manipulation and sleight of hand. “They were very good, they had great instructors,” he said. The schooling was anywhere from $3,000 to $4,000 for the course, and Herbkersman was glad to have the cost covered through the G.I. Bill. His first professional show was at the Columbiana Street Fair in the 1950s. “I had good crowds at every show. Back in those days I didn’t charge much money at all to get in. I gave away a lot of bunnies,” he said. When he married, his wife Sarah would serve as his assistant. Their children, June McLaughlin and Neil Foster, would also help out through the years. In fact, Herbkersman helped teach McLaughlin the art of ventriloquism, which she does professionally. “We grew up around this… it was fun growing up, it really was,” McLaughlin, who lives in Lake Tomahawk, said. 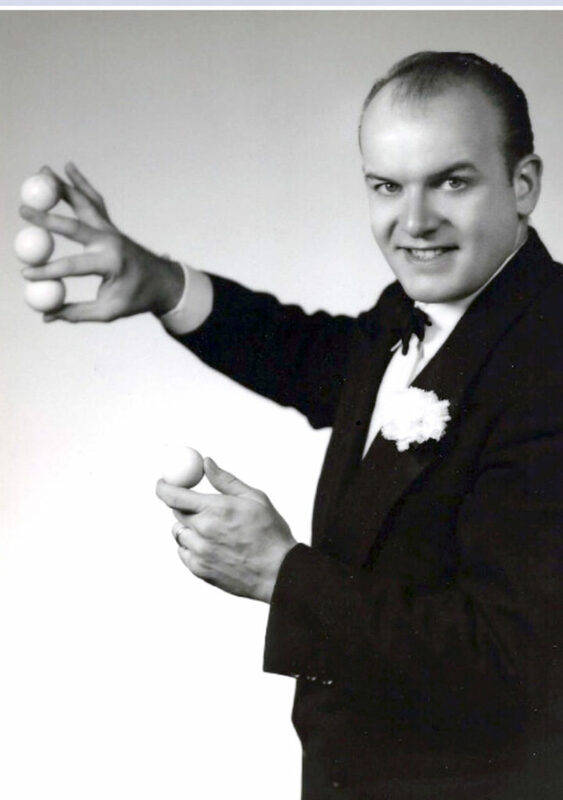 Herbkersman is a lifetime member of both The International Brotherhood of Magicians Ring 2 of Youngstown and Fellowship of Christian Magicians. He performed more than 5,000 shows mostly throughout Ohio and Pennsylvania, with a few shows in West Virginia over the years. “I didn’t have an agent. I was raising a family, and I thought they were more important. All of my shows, 99 percent of them came from people through word of mouth,” he said. Now 91 years old, Herbkersman retired from magic 10 years ago and recently donated his tool kit of magic to the American Museum of Magic in Marshall, Mich. The kit is already on display at the museum and consists of makeup, coins, billiard balls, and a deck of cards, along with other gimmicks. “It was a great honor to have that put into the museum,” McLaughlin said. Herbkersman and his wife Sarah still live in Columbiana.